So, you have had dark hair for most, if not all of your life and now you are ready to take the leap and lighten up. Do blondes really have more fun? Do they get more attention? Are they more attractive? You want to know so now you have to figure out how this color transformation is going to work. You cannot just buy the lightest boxed hair color from the drugstore and expect to look like Gwen Stefani; that is not how things such as this will work. You also cannot just schedule a color appointment at a salon and expect to leave three hours later with shimmeringly gorgeous icy locks, either. All of these expectations will just lead to heartbreak and a harsh reality that is not so pretty: more brassy and less sassy hair. There are several things that must be considered before you take the journey from dark to light hair so you can do it properly and get the look that you desire and only have happy tears at the amazing result. You would think that virgin dark hair, that has never been touched by a chemical before, would take well to the lightening process. After all, your hair is presumably healthy. Think again. Every day environmental stressors, certain shampoos and conditioners as well as heating tools can wreak havoc on your hair and you may not even be aware of it. Curling irons, hair dryers, flat irons; no matter how much you try to protect your follicles with heat sprays and serums, those products could actually be leaving you with unnecessary build-up. Thus, it could make coloring your hair more of a process than you expected. The first step is to decide how light you want to go, whether it is a cooler blonde or super blonde. Possibly try hair styles and colors on a photo of yourself or wigs at a hair store to make the decision as to what you think looks the best according to your skin tone and eye color. Make sure to be realistic because you cannot just bring in a picture of a super blonde star when you have black hair and say “do this” and expect it to happen. Here’s the best possible way to go about going from dark to light hair with the best results and least amount of damage. Let’s be real; damage is inevitable when you color your hair, especially if you go more than two or three shades lighter than your current color. Any chemical can cause hair damage, ruining pH balance, possibly leaving your hair dry and sticky. That is why going lighter needs to be a process, one that you are dedicated to and with the understanding as to why it has to occur gradually and not happen in one sitting. Usually, it is suggested that you aim for a lighter shade of brown to begin with while adding subtle highlights, maybe a caramel ombré. Allow yourself to get used to the lightness. 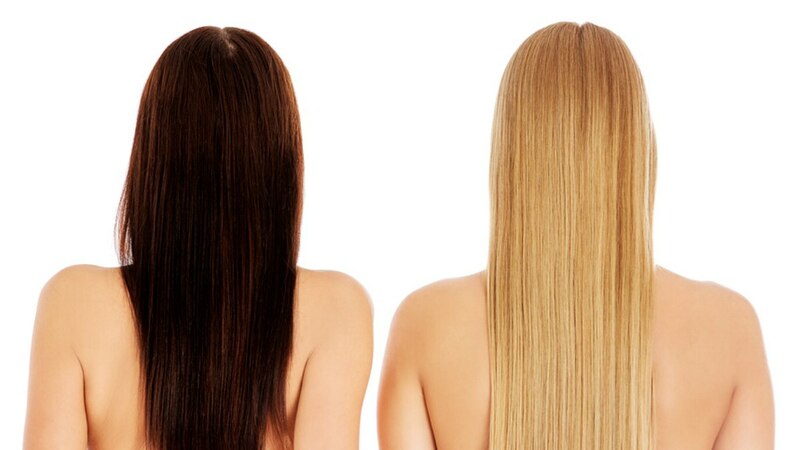 Depending on the color you come in to a salon with, the hairdresser will tell you how light your highlights can be. Highlights are a great start to becoming a beautiful blonde. Between each step to lightening to the lightest that you are hoping for, make sure you swing by the salon for a deep conditioning treatment as well as using a hair mask two to three times per week to keep the moisture sealed in. You will also want to use your heating tools on a much cooler setting as to not add to the possible damage that can happen through coloring. If you lack patience and are determined to go from dark to light in one day (maybe you have seen a lot of “America’s Next Top Model” make-overs), it is possible but could take up to ten hours to achieve and can be quite costly. 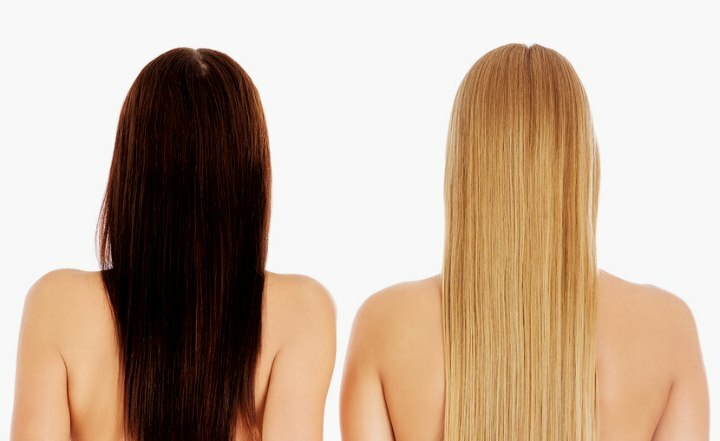 If your hair has been colored before, especially to a darker level, you will most likely need to have the color stripped before you proceed with the lightening process. Again, highlights are a great balance for the interim as you are going from dark to light. Once you have achieved your desired level of lightness, which could take several months but better safe than sorry, you will need touch ups every four to twelve weeks. Hair grows about a quarter of an inch every month but tends to grow faster in the summer months so it really just depends on how fast your roots grow and how much darkness you are willing to let show. 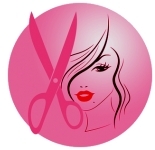 You may also require trims every time you go in for touch-ups to maintain hair health and avoid split ends. In the case that you experience any brassiness, make sure that you get a quality violet colored shampoo which will eliminate the gold you may not want. It is also a life saver to keep your blonde super vibrant and luscious. It can actually be a really cool process to watch the hair transition and you may find some place in the middle that makes you happy. But if you are determined to go blonde, just do not do it at home because your hair will most likely turn all shades of red, orange, and beyond, unless that is the look you’re looking for. It is an investment to make a dramatic change step by step but it is beyond worth it in the long run when the result is beautiful healthy hair. Now, go out with your knowledge and lighten up; have fun and see what’s in store for you as a blonde!